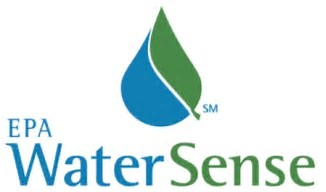 WaterSense is a program that was established by the U.S. Environmental Protection Agency (EPA) in 2006 to identify and promote the very best water-conservation products and training courses. A WaterSense label is a nationally recognized symbol of quality. In addition, WaterSense-labeled products and certification providers are included in the program’s searchable online directory. 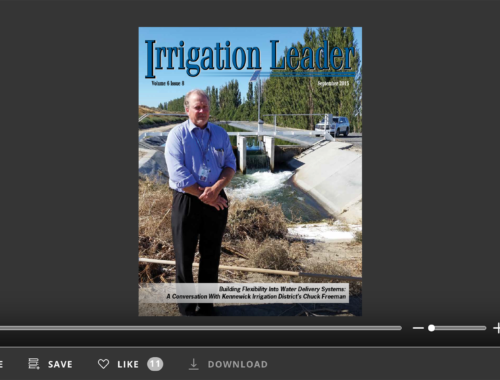 In this interview with Irrigation Leader writer Parker Kenyon, WaterSense Program Manager Veronica Blette discusses the program’s relevance for irrigation professionals. Parker Kenyon: Please tell our readers about the EPA’s WaterSense Program. What is it designed to do and who can it benefit? Veronica Blette: WaterSense is a voluntary EPA partnership program that started in 2006 with the goal of helping people save water. It is both a label for products and an information resource to help consumers make smart choices that save water and money on their utility bills. Through 2017, the program has helped to save more than 2.7 trillion gallons of water and $63.8 billion in utility bills. Products that have earned the WaterSense label are certified to be at least 20 percent more efficient without sacrificing performance. WaterSense currently labels two types of irrigation products: weather-based irrigation controllers and spray sprinkler bodies. In addition to labeling products, we also label programs that certify irrigation professionals who have been trained in water efficiency. Parker Kenyon: Why should irrigation professionals consider WaterSense-certified educational programs? Veronica Blette: Many communities are placing an increased emphasis on efficient water use so they can continue to provide vital water services in the face of drought or high water demand. Outdoor water use poses a particular concern for many water providers because demand usually peaks during the warmer seasons and can stress water supplies. As much as 50 percent of the water applied to landscapes and lawns can be lost because of evaporation, wind, or overwatering due to inefficient system design or improper installation, maintenance, and scheduling. Earning a certification from a WaterSense-labeled program demonstrates that an irrigation professional wants to become part of a solution to the challenges of outdoor water use. Certified professionals trained in water efficiency can provide added value to their customers by helping them to achieve beautiful and water-efficient landscapes. Parker Kenyon: Does the WaterSense program work with irrigation districts and municipal water districts? 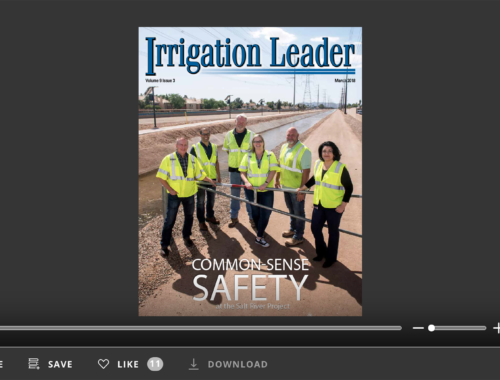 Veronica Blette: WaterSense focuses on landscape irrigation rather than agricultural irrigation, but we have also partnered with more than 700 water utilities and local governments. They help promote WaterSense-labeled products and services and educate the public on how to be more water efficient, both indoors and outdoors. WaterSense has labeled 24 professional certifying organizations that certify irrigation professionals in system design, installation and maintenance, and audits. The Irrigation Association offers national certification in all three specialties, and a number of other regional programs offer certification for system audits. Parker Kenyon: Would you please describe the process for becoming WaterSense certified? Veronica Blette: The process will differ depending on the program for which the professional is seeking certification. Generally, the professional will be classes and take an exam to test their knowledge. Some programs also require a site test to demonstrate that the professional has the skills to manage water in a landscape. Once certified, the professional will also need to earn continuing education units to maintain their certification. 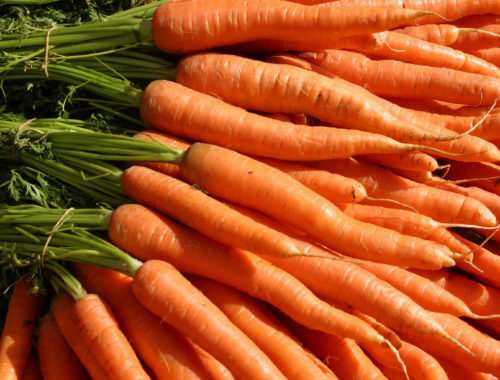 The certifying organization establishes specific requirements. If an irrigation district is interested in establishing its own program, it can contact WaterSense to learn more about the process and the options available. Parker Kenyon: What are the professional benefits of becoming WaterSense certified? Veronica Blette: Professionals certified by a WaterSense-labeled program are associating themselves with a nationwide program that is recognized by consumers as a trusted resource to help them save water. Professionals can use this affiliation to distinguish themselves from their competitors by using the WaterSense “Look For” promotional label on their marketing materials. They may also get access to incentives offered by local governments or access to job opportunities with builders of WaterSense-labeled homes and LEED projects. WaterSense also includes certified professionals in an online directory, which currently lists more than 2,700 professionals throughout the country. Parker Kenyon: What kinds of public outreach and education does WaterSense support? Veronica Blette: Our labeled professional-certifying organizations offer ongoing training to professionals. WaterSense develops materials to help professionals and consumers understand the benefits of labeled products, such as weather-based irrigation controllers, and other water-saving irrigation practices, such as microirrigation. WaterSense offers periodic webinars that are focused on outdoor topics to help both professionals and consumers learn about techniques to create water-smart landscapes. WaterSense also has a wealth of material focused on outdoor water use, including campaigns like our spring Sprinkler Spruce-Up campaign. 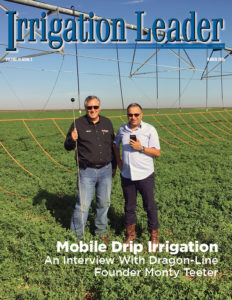 Promotional partners can use these materials and campaigns to raise consumer awareness, and certified professionals can view them as a business opportunity to help consumers ensure that their irrigation systems are in working order. Parker Kenyon: What is your message to our readership? Veronica Blette: Professionals who provide irrigation services for residential and commercial landscapes should consider earning a professional certification to advance their skills and grow their business. More communities are facing water-related challenges. Professionals can address these challenges by offering their knowledge to sustain landscapes without wasting water—whether that landscape is a homeowner’s yard, a commercial campus, or a golf course. People might think that a water-efficient landscape means rocks and cacti, but a sustainable, water-efficient landscape can be created and maintained in any climatic zone as long as it has the right pieces in place—the right plants, the right irrigation system, and the right water schedule. Irrigation districts that also provide water services to municipal customers should consider becoming WaterSense partners to take advantage of our national messaging platform. It is free, and we have a range of resources they can use to communicate with their customers about water efficiency. Parker Kenyon: If our readers want to get more information on the EPA’s WaterSense program, what is the best way for them to get in contact with you? Veronica Blette: The best way to learn more about the program is to visit our website at www.epa.gov/watersense. In addition to useful tips about how to save water, we have information about our labeled products, certification programs, and homes, as well as opportunities to partner with WaterSense. Readers can also follow us on Facebook and Twitter by looking for the @EPAWaterSense handle. Finally, readers can always reach us through the Contact Us link on our website, by email at watersense@epa. gov, or through our toll-free helpline, (866) 987-7367.